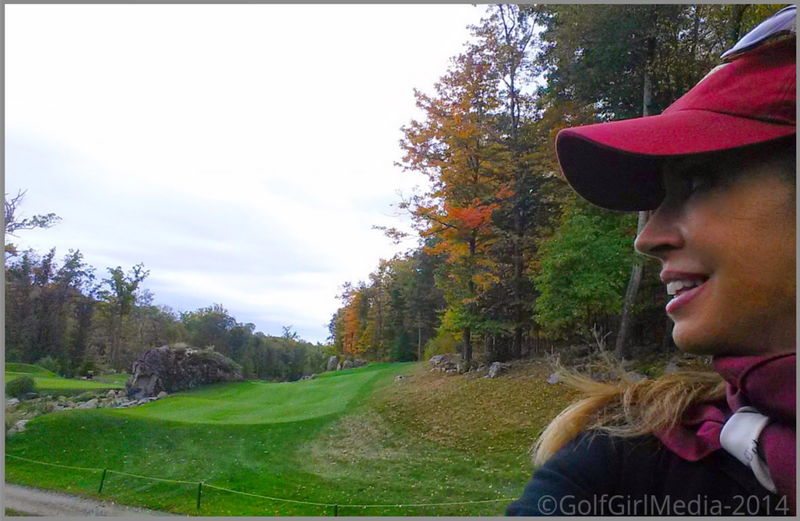 In and about New England, late fall may seem an unlikely time to be seeking a superlative golf experience. Many resident golfers have packed away their clubs for the season, and the snowbirds have largely flown south. What some of us know however, is that despite this collective congé… in fact, partly because of it… November and December can be the ideal time for a uniquely satisfying golf adventure, one that can't… or won't… ever be replicated in the high season. A perfect example of such is currently available at Pound Ridge Golf Club, one of the New York metropolitan area's most acclaimed courses. Located in Westchester County, NY, about 50 miles north of midtown Manhattan, Pound Ridge is extraordinary for a number of reasons. It's a singular site... topographically speaking... studded with rock outcroppings and intersected by streams. In the hands of legendary architect Pete Dye and his son Perry, this undulating terrain has been shaped into a course that's at once foreboding and whimsical. Five sets of tees... each of which offers distinct drama and challenge... make the course thrilling for players of widely varying skill levels. Playing from the Pine tees a couple of weeks ago, with my high handicap twin sister, we marveled at the creativity that made this "formidable" track so patently playable for golfers like us. Our far-forward tees allowed us to make pars... even a couple of birdies... while maintaining many of the intriguing features that make the course such a challenge for accomplished golfers playing from the way-back Blacks. Hat tip to Alice Dye. 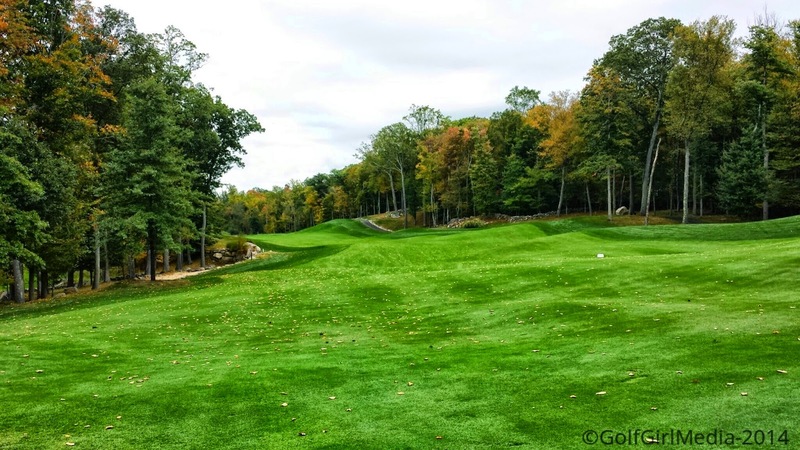 Pound Ridge has received numerous accolades since it opened in 2008, among the more recent: #1 New York Area Course (2010), #1 US Open Worthy Public Course (2012), #3 Best Course Near You (2014) #4 Best in State (2014). 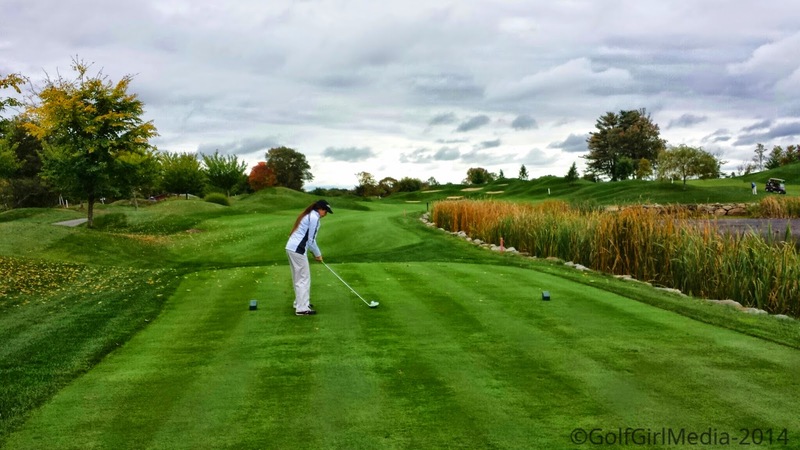 Clearly a "bucket list" golf course, the late fall transition to off season rates makes this an optimum time to experience all Pound Ridge Golf Course has to offer. Now through December 31, Fall/Winter rates of $150. before 1pm and $100 after apply, and include golf or pull cart and use of the club's practice facilities. More information is available at the Pound Ridge Golf website.